Wash the palak and roughly chop them. Boil them with pinch of baking soda. Baking soda helps the palak to retain its colour. 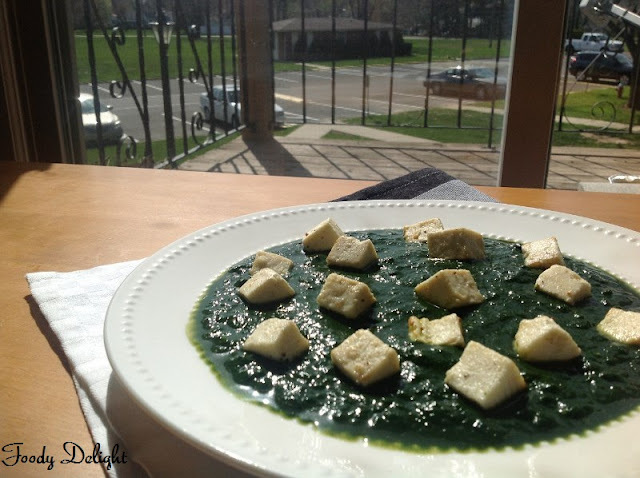 When palak is cooked,blend it to the smooth paste. Boil the tomatoes and make the puree of it. Place the pan on medium flame,add oil into it. When oil heats up, add paneer cubes and shallow fry it. When done remove it on paper towel,to absorb any excess of oil from it. In the same pan, add chopped onion and fry it till they become light brown in colour. Then add all the paste and fr till raw smell goes off. Add all dry masala powder.Mix well. Now add tomato puree and cook till puree leaves oil from sides. Now add palak paste and salt. Stir well and cook for sometime. 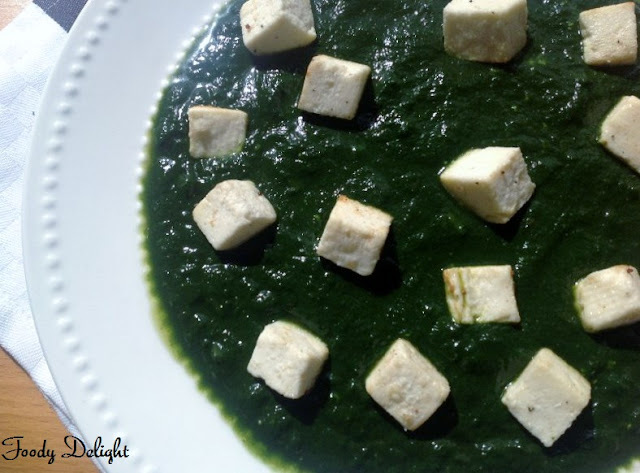 Finally add fried paneer cubes, mix well and cook for 2 minutes with lid closed. 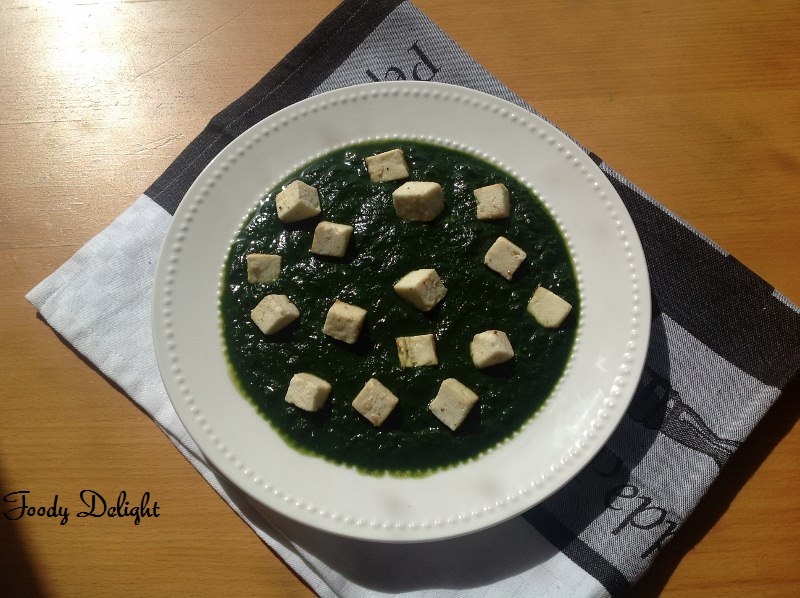 Palak Paneer is ready to serve. 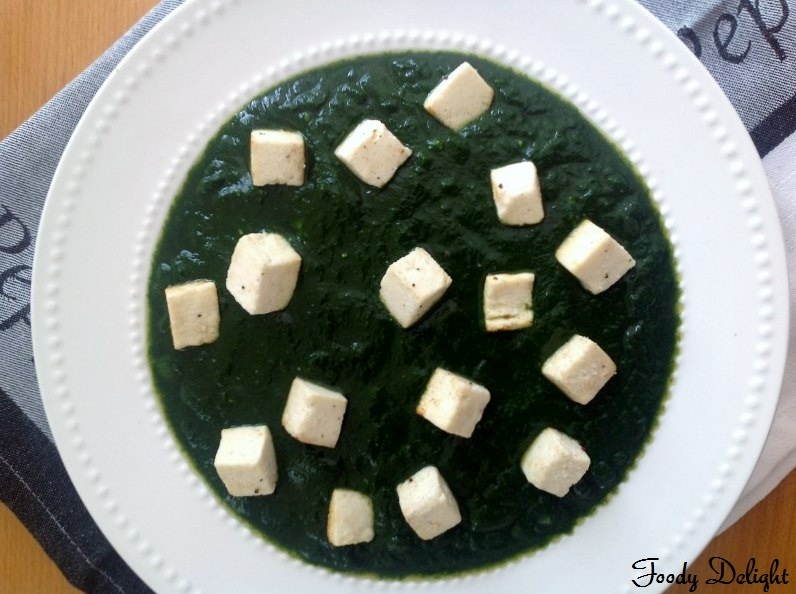 Palak Paneer can be served with naan or roti. looks yummy. nice shot too. new to your space..love your space & presentation..
palak paneer looks lipsmacking goood..
lovely recipe, this is my fav, I think this panner made me to visit ur blog. Happy to follow you!!!! do stop by mine!!!! 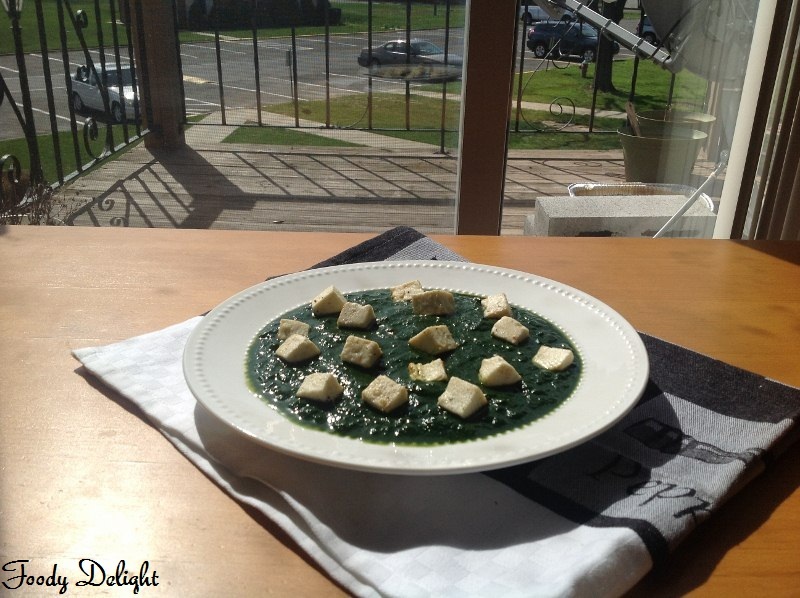 Very green & healthy food u served..